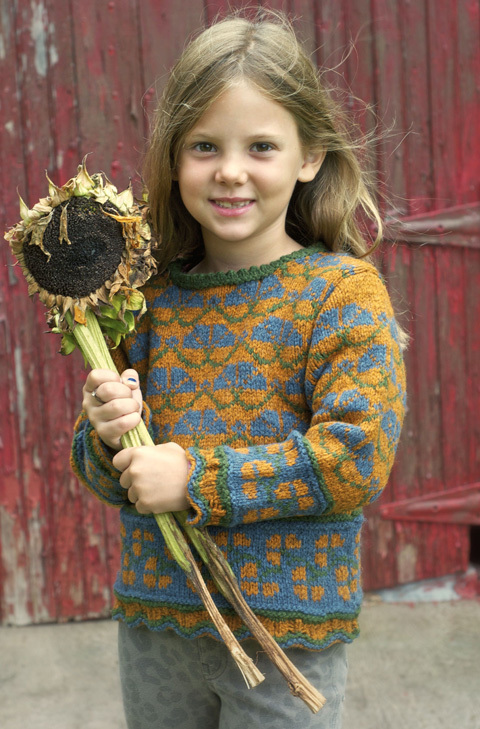 Based on motifs and the classic scalloped edge seen in Latvian mittens, this modified drop-shoulder child’s sweater is knitted in the round with steeks worked for the armholes and neck. 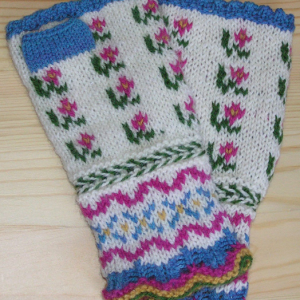 The steeks are machine-stitched and cut, and the sleeves (knitted from the cuff up) have a facing to hide most of the cut edges. (I have created a video to show how to sew and cut this garment.) 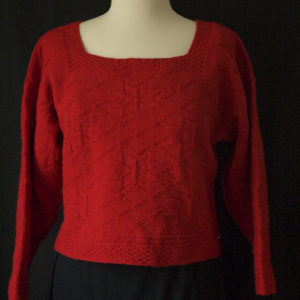 The lower motif on the sleeves and body use three colors in a round for only six rounds with the remainder worked in two colors per round. Knitted in Green Mountain Spinnery’s Weekend Wool (www.spinnery.com), or other heavy worsted weight yarn, this is a quick and fun knit. Enjoy! 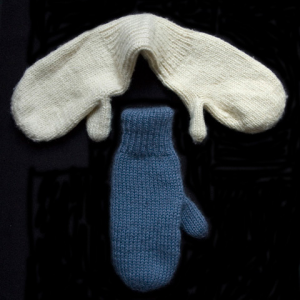 If you live in the EU, please go to this page on the LoveKnitting website to purchase this pattern. 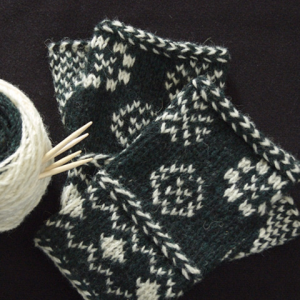 Gauge in two-color Stockinette stitch: 20 sts and 28 rows over 4″ / 10 cm.